Volkswagen will begin the sale of vehicles in Iran in August 2017. Initially, Volkswagen's Tiguan and Passat models are to be imported under a contract concluded with the Iranian automotive company Mammut Khodro. 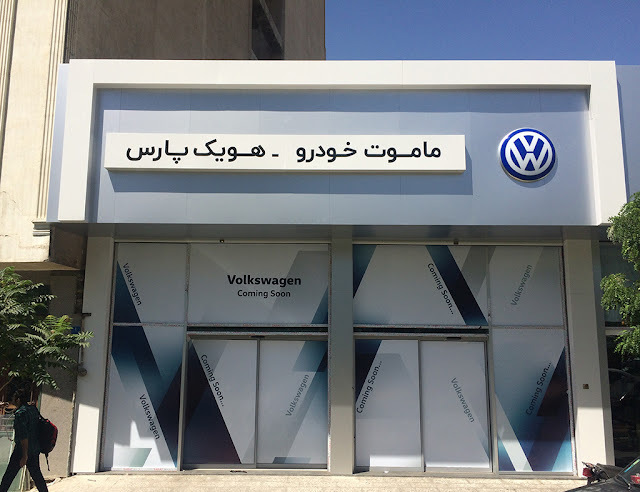 The Volkswagen brand will thus again have a presence in the Iranian market after more than 17 years and is systematically developing further worldwide market potential. The privately-owned local partner Mammut Khodro – also the official Iranian importer for the Group's Scania brand – will import Volkswagen brand vehicles into Iran and initially distribute them through eight dealers, focusing on the Teheran region. "By returning to Iran, the Volkswagen brand is filling in another blank spot on the global automotive map. We are thus strengthening our international presence still further. At the same time, we are taking our very latest models with premium features to our Iranian customers", Anders Sundt Jensen, project manager for the Iranian market at Volkswagen, said. "The Iranian automotive market is currently undergoing changes based on customer expectations. Comfort, environmental friendliness, safety, fuel consumption and modern mobility services are becoming increasingly important for Iranians. This has led to rethinking in the automotive industry and consequently a shift towards more modern vehicles and mobility solutions. Mammut Khodro feels very fortunate to be part of this transformation process as the partner of Volkswagen in Iran." The Tiguan and Passat imports mark the continuation of a long tradition for Volkswagen in Iran: the brand was already a familiar sight on the roads back in the 1950s with the Beetle, which was followed by the Bulli (1960s) and Gol (1990s) before Volkswagen completely withdrew from Iran in 2000. The initial aim of the present import initiative is to gain an insight into current market needs, establish the Volkswagen brand in Iran, and offer Iranians modern technologies "made in Germany". The Iranian government estimates that there will be some 3 million new registrations in the overall passenger car market per year in the medium to long term. Mammut Group established in 1995 is today one of the biggest private industrial companies and employers in Iran, active in the fields of automotive, construction, IT, logistics, telecommunications and financial services with its main focus on the Middle East region. "Khodro" is the Iranian word for "automobile".